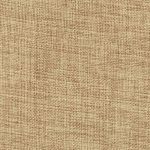 While there are various types of sewing fabric options to choose from, nothing is quite like linen. It’s lightweight and breathable, yet it’s extremely durable, and it offers a uniquely polished look like no other material; hence the reason why it is one of the most beloved textiles in the world. In fact, it’s also one of the oldest fabrics in the world; the ancient Romans crafted it into togas, and the ancient Egyptians wrapped their mummies with it; that’s how much linen was beloved! Which one should you have in your sewing room? To learn more about each textile, read through the following reviews, we’re you’ll find out about the features of each fabric, as well as what we like about each option and why we think they are the best linen fabrics available. When you’re ready to make a purchase, just click on the yellow link to find the best prices currently available on Fabric.com. 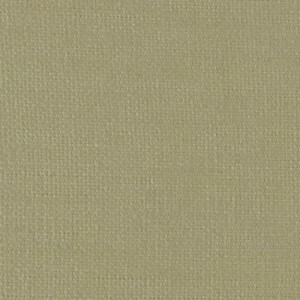 First up on our list of the best linen fabrics is the Cosmo Linen from Cosmo. It’s not traditional linen, but rather, it’s 100 percent polyester that has been woven to create the look of linen. Though it’s made of synthetic fibers, it is extremely durable and easy to work with. In fact, it is so well-made that you probably wouldn’t even be able to tell that it isn’t the real thing! 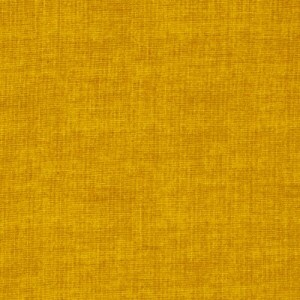 Since this linen fabric has a medium to heavy weight, it is would work well as a drapery or an upholstery fabric. It would look lovely as window panels or a valance, or even as a slipcover for a chair or sofa. You could also use quilting batting to turn it into a lovely spread for a bed. However you plan to use it, you will love that it has 50,000 double rubs, as it will retain its look for a long time. The fabric is dry clean only, though, so do be aware. 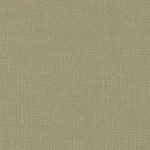 While we are featuring the linen color in this review, there are several other colors available, including stone, caramel, latte, black, taupe, aqua, and even taupe – just to name a few. 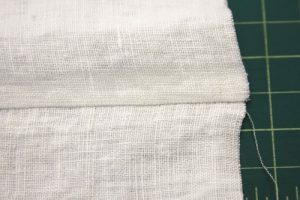 This linen material is sold by the yard and half-yard and is cut to order. It’s also affordably priced, which is definitely a plus. Final Verdict: Overall, we were very pleased with the Erocia Cosmo Linen Fabric. It is durable, beautiful, and comes in a wide range of colors. It’s also affordably priced, which we really like. Fabricut is a highly reputable supplier of all types of fabrics, including faux fur, faux leather, lace, suede, and taffeta; among others. Their coarse linen is one of the highest quality options on our list, as it is authentic linen, which means that it is 100 percent natural. This linen material has a very heavy weight, yet because it is completely natural, it is still breathable. We think that it would be well-suited for home décor items, such as window treatments, duvet covers, and throw pills; however, you could certainly use it to create hand-stitched apparel. For example, you could use a dress form to make a uniquely stunning gown. The width of this material is 55 inches and it’s sold by the yard and half yard. It’s made in France, so you know that it is an exquisite textile. The color is Oceanside, which is similar to sage green, which serves as a unique neutral. Final Verdict: If you’re looking for a completely natural linen material, then you should definitely check out Fabricut Coarse Linen. It’s completely natural, heavyweight, durable, breathable, and just beautiful. While the price is a bit high, we do think that it is worth the investment. Next up on our list of the best linen fabrics is an option that comes from Brixton, another high-regarded distributor of various types of materials. This linen is different than other fabrics featured in this review, as it’s blended with chenille, so it has very soft hand. Back it with fleece or flannel to make a stylish, yet totally comfortable and cozy throw blanket or duvet for your bed! It would also look wonderful as a blazer, vest, or even a skirt. You could even use it to create a tufted headboard or an ottoman! Since this linen is blended with chenille, it isn’t 100 percent natural; instead, it’s made of 20 percent linen and 80 percent polyester; however, that adds to the durability of the fabric. 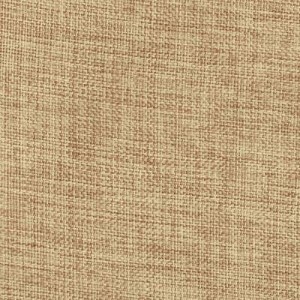 This linen fabric is heavyweight, which again, adds to the durability. It measures 57 inches wide and is sold by the yard and half yard, and it’s cut to order. It’s also available in several colors, including feather (a grayish brown, bayou, kale, ruby, indigo, and amethyst. We think that this material is quite beautiful, sturdy, and easy to work with. Final Verdict: The Brixton Linen Blend Chenille Fabric is quite unique and simply stunning. Since it’s blended with chenille, it has an incredibly soft hand. It’s also very durable and can be used in a myriad of ways. Another 100 percent all-natural linen fabric, this option from Splendid Home is just lovely. It is exactly what comes to mind when you picture fabric in terms of the feel, the construction, and the breathability. The material has a very heavy weight, which makes it suitable for a variety of uses; for example, you could use it to create a beautiful valance, swag, drapery, or any other type of window treatment you can think of. It could also be used to create a lovely natural looking throw pillow or it could even be used as the basis of an embroidery project, as you can easily pass a hand sewing needle and embroidery thread and floss through it. 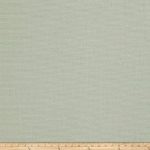 Like all of the linen fabrics mentioned in our review, this one is sold by the yard and half yard and cut to order. The width is 55 inches. There are so many different colors to choose from, too, such as pomegranate, rain, taupe, greystone, glacier, sky, and denim. We found that this material was very easy to work with and that it had a lovely finish. 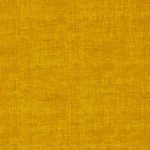 Final Verdict: If you want a natural linen fabric that is available in various colors, then you should consider the Splendid Home Colby 100% Linen Fabric. It’s completely natural, heavyweight, and super durable. It comes in so many colors that you will be sure to find one that suits your needs. 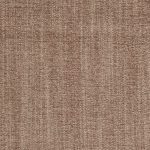 The last option on our list of the best linen fabrics comes from Andover and Makeover, yet another highly regarded distributor of various types of materials. This linen is made of 100 percent cotton, so it’s lightweight and very breathable. Additionally, it can be machine washed and tumbled dry, which makes it super easy to care for; in fact, it’s the only fabric in our review that can be machine washed! While the fabric isn’t pure linen but rather cotton, it does have the same look and feel as natural linen. As a matter of fact, if you put it next to natural linen, you’d probably struggle to tell the difference; that’s how well-crafted it is! 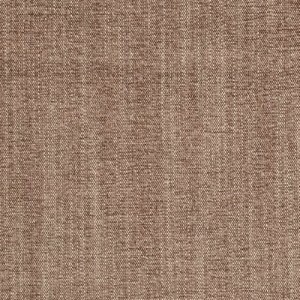 This linen material is 44 inches wide and it is sold by the yard and half yard, so you’ll be able to get the exact amount that you need. It’s available in a wide variety of colors, such as charcoal, lime, baby blue, tomato, heather, smoky blue, turquoise, magenta, black, fuchsia, pink, and pale cream. All colors are very vibrant and feature variations in shade and a subtle sheen. This is a wonderful material for all types of hand-stitched projects. It can easily be used as a quilting fabric; use a single color, or you could purchase several colors and use quilting cutting mats to create a patchwork quilt. You could also use it to create some super stylish and very comfortable clothing; for instance, you could combine it with knits to create a one-of-a-kind jacket or vest – or anything else that you can think of! We found that this material is quite easy to work with, as it cut well and we had no trouble passing it through a sewing machine. Honestly, we couldn’t find any reason to complain. 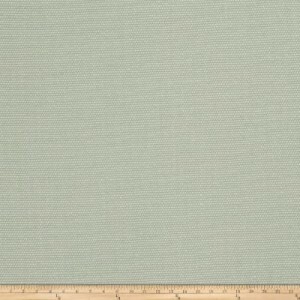 This faux linen fabric is simply divine! Final Verdict: This linen fabric from Andover and Makeover is just stunning. It’s 100 percent cotton, lightweight, durable, breathable, and available in so many colors. Best of all – it’s machine washable! Whether you have been sewing for years or you are just learning the ropes (with the guidance of a sewing help book), every seamstress needs to have the basic sewing essentials on-hand – and fabric is one of the most basic of all sewing essentials. Having a nice collection of various types of materials available will allow you to create your masterpieces whenever creativity strikes. There are so many different fabrics available, and linen is certainly one of the most beloved. It’s versatile, durable, and relatively easy to work with. If you’re thinking about stocking up on some linen material, there’s no doubt about it: you’re going to want to purchase the best. In this section of our buyer’s guide, you’ll learn more about this wonderful textile and find out why it is such a commonly used material. Linen is, of course, a textile; but what’s so special about it is that it is the oldest fabric in the world; it’s believed that it originated some 8,000 years ago. Initially, it was made from the fibers of flax, a plant that looks like a mix between lavender and cornflower. Ancient civilizations discovered that the fibers of the stalk the flax plant could be turned into thread. The fibers were woven to create various things, such as linens, clothing, and as we mentioned in the beginning, even the wrappings for mummies! Linen was hand-woven for thousands of years; however, during the Industrial Revolution, the spinning machine was invented, which change the shape of linen production. The fabric became more widely available and more affordable, as it could be produced a lot faster. Eventually, it became one of the most commonly used fabrics around the globe. Today, linen continues to be a popular fabric, which is evidenced by the wealth of items that are made out of the material. However, it’s not just made of natural flax; it can also be made from various other fibers, including cotton and polyester. It’s lightweight. Linen is a rather lightweight material; even the heavier weighted linens are lighter than a many other types of fabric, such as satin and silk. It’s breathable. Since linen is a woven material, it is quite breathable. It’s cool. Due to the light weight of linen and its breathability, it is an extremely cool fabric; hence the reason why it is so commonly used for summer apparel. It’s durable. Linen is an extremely durable material; in fact, it is often referred to as the strongest natural fiber in the world. It’s so strong that the currency of the United States of America is printed on paper that is comprised of linen! Lint-resistant. It’s also resistant to lint, which makes it quite appealing; you won’t find bits of linen rubbing up onto your cotton pants. It doesn’t pill. This fabric is also able to resist abrasions, so it doesn’t pill, either. It’s anti-microbial. Natural linen is an antimicrobial fabric, so it’s quite hygienic. It’s a “green” material. Flax doesn’t require excessive watering, and it is resistant to many pests, so little to no pesticides have to be used; therefore, natural linen is also environmentally friendly. Of course, the natural look of linen makes it quite appealing, too. Given all of these benefits, it’s easy to see why linen is such an amazing material and why it is so popular. Whether you choose natural or faux linen, this is a material that you are definitely going to want to work with at some point. It’s soft, durable, breathable, easy to work with, and simply stunning. If you’re on the hunt for the best linen fabrics, we highly recommend material listed in our review, as they are all well-constructed and just beautiful.